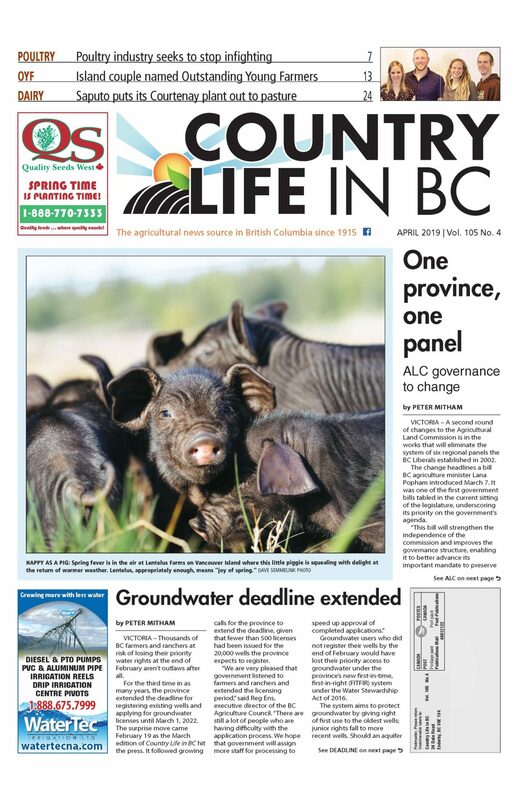 British Columbia’s Agricultural Land Reserve is about to mark its 45th anniversary. The landmark legislation was the first of its kind in North America when it was introduced by the NDP government of Premier Dave Barrett in 1973. It was immediately contentious and has remained so throughout its history. The fact that it still exists is a strong indication that fundamentally it was the right thing to do. It continues to get broad, if sometimes grudging, support. The devil, though, is in the details and there has never been anything close to unanimity regarding those details. There is general agreement about saving farmland but the wheels start falling off when the questions are asked: When? Where? How? And at whose expense? Disagreements about the answers have turned the ALR into a political football. The ALR and the rules that govern it have been punted from one end of the political spectrum to the other for the past four and a half decades. 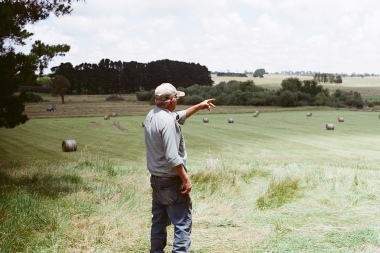 The initial legislation was met with fierce resistance from the farm community who feared – with ample reason – that the social objective of saving farmland would be achieved by government appropriation of their existing property rights. Thousands demonstrated and the government initiated some changes, including provision for limited appeals to the cabinet’s Environmental and Land Use Committee. The Agricultural Land Commission was created to administer the legislation. The ALC was also given jurisdiction to administer green belt land, landbank land and parkland. The ALC also made land purchases and long-term agricultural lease agreements. The government of the day tried to appease angry farmers with cost of production and farm income insurance schemes. The Socreds were elected in December of 1975. The following year, they replaced the ALC commissioners and amended the ALR Act. New commissioners were restricted to four-year terms and appeal requests could be made directly to the minister. There were several high-profile cabinet reversals of ALC rulings throughout the 1980s. In 1988, an order-in-council made golf courses legal in the ALR. By November 1991, there were 181 golf course proposals awaiting ALC approval. Two days after the NDP returned to power in 1991, the golf course order-in-council was rescinded and a moratorium was placed on golf course applications. Eventually, approximately 120 were approved. The clause was first used to allow ALR exclusion of the Six Mile Ranch property near Kamloops. That decision caused a rift in NDP ranks and resulted in the Quayle report clarifying provincial interest and ensuring accountability. The report also called for the amalgamation of the ALC and the Forest Land Commission. Enabling legislation was passed in 1999 and was replaced by a new act in 2001 when the Liberals formed government. The ALC was restructured into six regional three-member panels and plans were made to delegate some of the ALC’s authority to regional district and municipal governments. This was abandoned when only 14 of the 136 governments approached were prepared to discuss the matter. The Liberals also streamlined ALC regulations. In 2005, the ALC reported that regulations had been cut by 75% since 2001. In 2014, the ALR was split in two with different rules for each half. Permissible activities were expanded dramatically outside of the South Coast and Okanagan. All the while, there has been a constant chorus of boos, cheers, chants and rants from the stands depending on who had the ball at the time. The NDP/Green Alliance is now running the show and on January 4, NDP agriculture minister Lana Popham named a nine-member committee to host regional meetings, conduct an online consultation and make recommendations on how to “revitalize” the ALR. I suspect that Minister Popham is hoping to make a long pass and regain a big chunk of lost field position. The recommendations from the new committee should provide her with a list of plays to choose from. This is all far from over and those among us who have been watching the action since the kick-off way back in ’73 might be excused if it all looks like more of the same. The one thing that seems to have fallen by the wayside over the years is the farmers and ranchers who turn the land on the ALR maps into working farms and ranches. There will be no shortage of interests providing input to the committee. If we don’t buy into the consultative process and speak up, we just might be left out of the equation altogether.